Liqui Moly Valve Clean: beware! I guess this is not a really surprising photo but there’s a bit of story behind this. So in went the liquid, and ever since the car ran like it had a whole battalion of riflemen in its exhaust pipe. The misfires, or pops and bangs, were so loud they were like a 21 gun salute. At first I reasoned that it must have been dirt getting cleared and it’ll be OK after a while. Little did I know it got worse and worse the more I ran the engine! Plus the engine usually died after 20 minutes and I had to wait for another day to start it again. I got sick of doing it so many times one day I decided to get the car out on the road to clear the gunk once and for all. Sadly, the gunk won! After embarrassing popping and banging, the car basically died while going uphill (thank you SL!) and refused to start again. 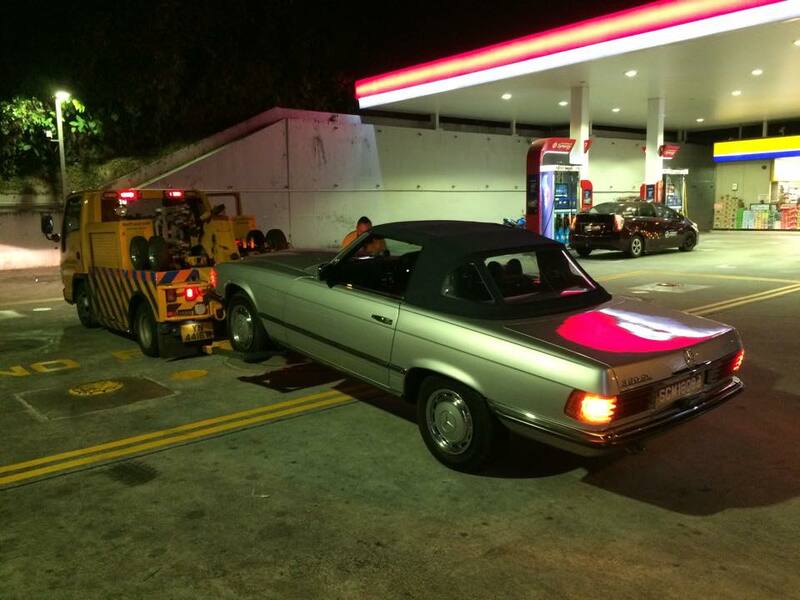 I then had to push it uphill, thankfully with some reinforcements – dad and brother-in-law – to a petrol station to avoid incoming high speed traffic. A tow to the workshop ended the evening. In the end, the workshop determined that the Valve Clean liquid kicked up residue dirt that lay dormant in the fuel tank for many years. The dirt then – horrifyingly – went into the engine and struggled to combust together with fuel. The solution was emptying the whole fuel tank, letting the residue settle and then return a top layer of clean fuel back into the tank. It seems to run fine now, except the car seems more prone to dying than usual – as if its resolve to keep alive weakened somewhat. I’m unsure what the issue is, but will monitor as I go on a long drive this weekend. Other observers speculate that it’s the primitive mechanical fuel injection system that is unable to deal with the change in fuel characteristics thanks to the valve clean liquid. Others say engines will form their own natural tolerances and will react adversely if it gets a clean it doesn’t really need in the first place. 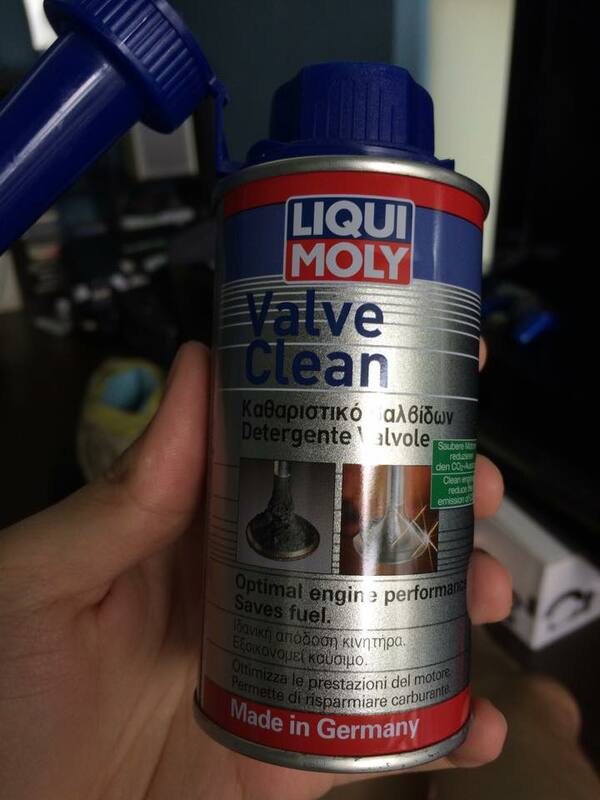 Whatever it is – to anybody thinking of using Liqui Moly Valve Clean for their classic cars – beware! I will continue to liaise with them and if there are any updates, I’ll post them here. Did you literally have no fuel filter on that vehicle? Or was the fuel filter just sold in the greater that all the material has broken loose and allowed guns to go straight into your engine from the gas tank? Because otherwise there’s no way enough Gunk will get from your gas tank to your motor to cause an issue. Did you literally have no fuel filter on that vehicle? Or was the fuel filter just so old and degratet that all the material has broken loose and allowed gunk and old filter material to go straight into your engine from the gas tank? Because otherwise there’s no way enough Gunk will get from your gas tank to your motor to cause an issue.